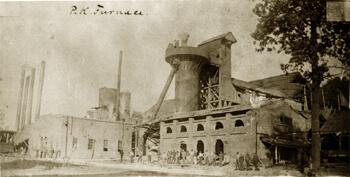 Below you will find many old historical photographs taken of citizens and local spots of interest. We will be adding more as time permits. 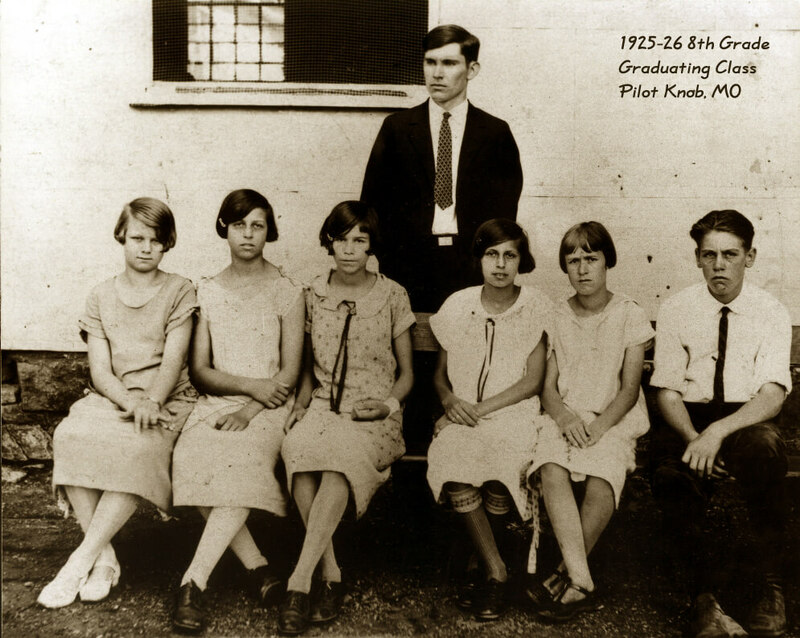 Top row (Left to Right): Emma Philips; Mr. Peetz, elder of the church; Mary Schlueter (mother of Mrs. Stanley White); Mr. Phillips; Emma Eckert; Tillie Rieke (Mother of Miss. Dorothy Reese); Mrs. John Amelung; August Gockel, elder; Mr. Fight, elder; John Amelung. Middle Row (Left to Right): Rev. A. L. Rohlfing; Annie Eckert; Professor Fürbringer. 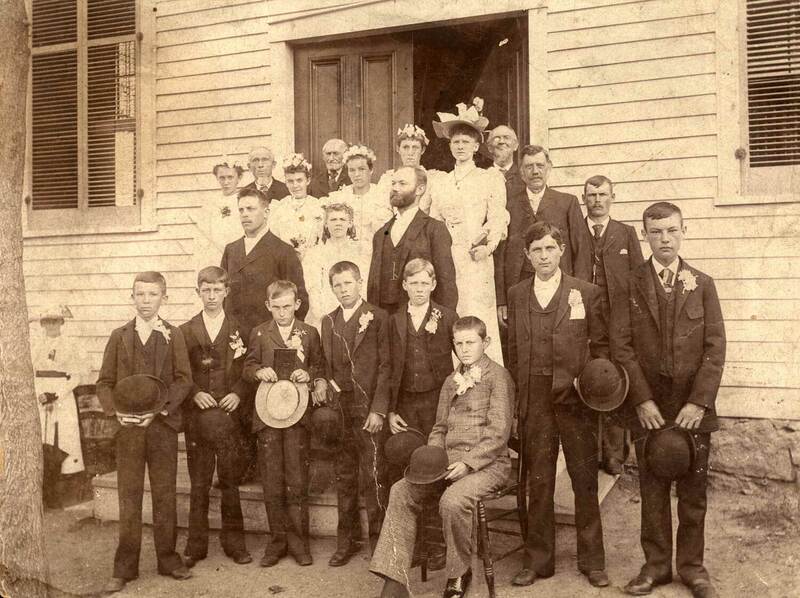 Bottom Row (Left to Right): Henry Slee; Albert Vasterling; Albert Dettmer; Robert Guhse (Uncle of Fred Guhse); Harry Zude, (brother of Mrs. Martha Meyer); Otto Rieke; August Schwab; Henry Janke (father of Mrs. Violet Wilson). Photo courtesy of Marcine Lohman. 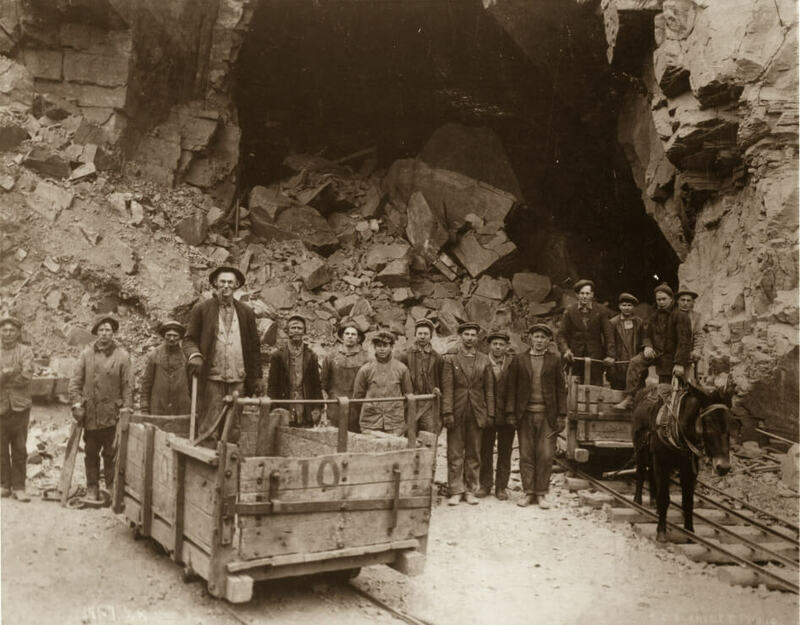 (Left to Right): Frank Tyndall; Pearl Mayberry; George Tripp; Herman Amelung (in car); Hank Hart; Chris Amelung; Johnnie Filko; Noah Thurman; George Sogn; Henry Weber; Andrew Yates; (in car) Brad Mayberry; Hollie Hart; Ira Barnes, and Ross Parton. Photo courtesy of Marcine Lohman and Newspaper article with people's names courtesy of Bettye Warner. (Left to Right): Grace Amelung, Lorene Duree, Lowell Barnes, Mr. Leash, Julia Filko, Elsie Sutton, Harry Rohan, (Loretta Kennedy not pictured). 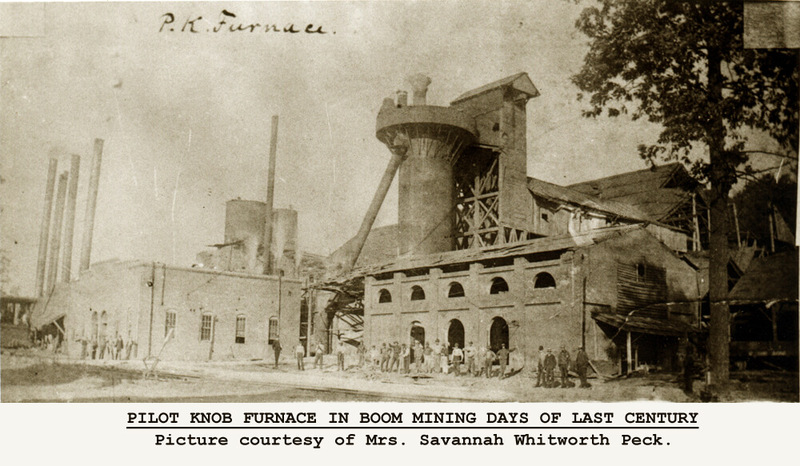 A view of the Pilot Knob Furnace from the boom mining days of the last century. Photo courtesy of Mrs. Savannah Whitworth Peck. 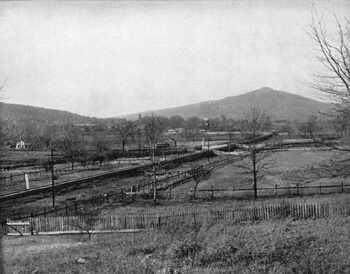 Arcadia Valley and Pilot Knob, Missouri. 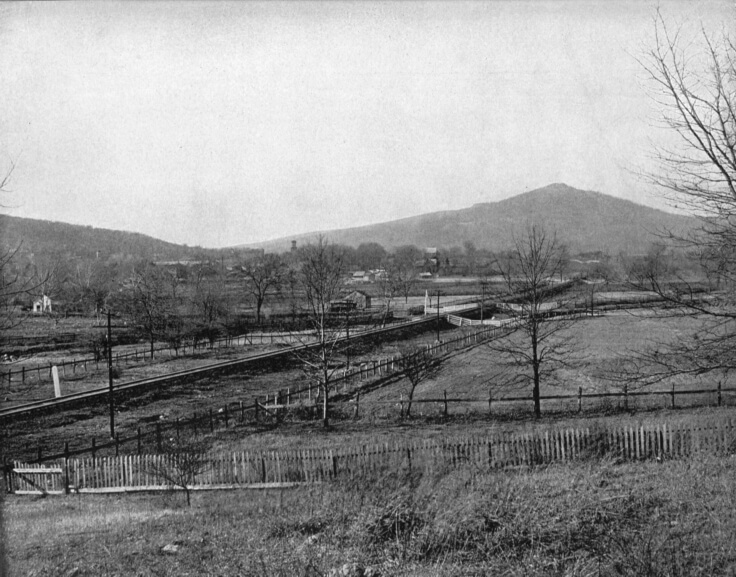 This was Pilot Knob in 1876, according to the publication" Our Own Country" where the picture first appeared. A copy has also appeared in the Mountain Echo Newspaper. Photo courtesy of Mrs. Marcine Lohman.